Sealed sources are used in a wide variety of occupational settings and under differing regulatory/licensing structures. This report will provide comprehensive guidance on the radiation safety aspects of sealed radioactive sources from “cradle to grave.” Recommendations will be provided on the definition of a sealed radioactive source, including design characteristics that should be considered. Guidance will be provided in the safe handling, tracking and control of sealed sources. The report will also present a set of “lessons learned” regarding what has gone wrong with sealed sources, what caused those events, and what could be done to prevent them in the future. Example procedures for confirming inventories, leak testing, labeling, safety, training, periodic inspection, and emergency response may also be provided. The fourth draft of the report was submitted for Council review on June 3, 2016, and comments were received in mid-July 2016. The Committee is currently working to resolve and incorporate comments into the final draft of the report. The third draft of the report was distributed for peer review in October 2015. Comments were addressed and were incorporated into the fourth draft as appropriate. SC 2-7 plans to meet at the Health Physics Society Mid-Year meeting in Bethesda, Maryland in January 2017 and at the NCRP Annual Meeting in March 2017.
has been a member of Program Area Committee (PAC) 2 since 2007 and a member of NCRP since 2010. She has served on Scientific Committees 2-4, 2-5, 2-7, 1-19, and 6-9. Ms. Pryor is currently on the NCRP Board of Directors and is Scientific Vice President of PAC 2. She received her BS in Biology in 1979 and MS in Radiological Sciences in 1981, both from the University of Washington. Ms. Pryor was the Chief Health Physicist at the Pacific Northwest National Laboratory (PNNL) in Richland, Washington, providing management and technical support to the PNNL Radiation Protection Division since 1992. She also served as the Chief Radiological Engineer for the design of the Pit Disassembly and Conversion Project. 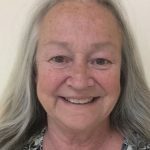 Ms. Pryor previously held radiation protection technical support positions at the San Onofre Nuclear Generating Station and the Trojan Nuclear Plant, and was the Radiation Safety Officer at the University of Southern California Health Sciences Campus. Ms. Pryor is a Fellow member of the Health Physics Society (HPS) and served as President-Elect, President, and Past President from 2010 to 2013. She is certified in comprehensive practice by the American Board of Health Physics (ABHP), and served on the ABHP both as a member and Chair from 1998 to 2002. She is currently the President of the American Academy of Health Physics. Ms. Pryor was awarded the William McAdams Outstanding Service Award by ABHP in 2007 and the John P. Corley Meritorious Service Award by the Columbia Chapter of HPS in 2003.
is a Senior Health Physics Consultant at Talisman, specializing in radiation and nuclear safety and security. He has more than 40 y of radiation safety experience, including 17 y as the Branch Chief of the California Radiologic Health Branch. In this position Mr. Bailey was responsible for the management of the State of California's radiation protection program, including the Agreement State Program for the licensing, inspection, and enforcement of the California laws and regulations for the possession, use, and disposal of radioactive materials. He also had California regulatory responsibility for the registration, inspection, and enforcement programs for x-ray machines and accelerators and the testing and state certification programs for doctors and technologists supervising and using these machines and for nuclear medicine technologists. Prior to his work with the California Radiologic Health Branch, Mr. Bailey worked for 19 y for the Texas Bureau of Radiation Control, where he held positions as the Director of the Division of Licensing, Registration, and Standards, as the Director of Inspections and Enforcement, and as a Radioactive Materials License Reviewer. Mr. Bailey earned an MS in Environmental Health Engineering and a BES (Nuclear Power Option) both from the University of Texas. 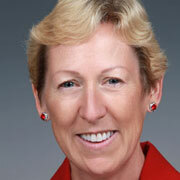 Christine A. Donahue was elected to NCRP in 2009 and has served on the Scientific Committees 1-18 and 1-19. She is certified in comprehensive practice by the American Board of Health Physics (ABHP), and has served on the ABHP exam development panel and as Chairperson of the Professional Development Committee. Ms. Donahue received a BS in Biophysics from University of California, Berkeley in 1981, Nuclear Engineering MS program at University of Virginia, Charlottesville in 1982, and MS in Radiological Engineering from California State University, San Jose in 1987. Ms. Donahue is currently Director of Radiological Safety Programs at CB&I managing radiological controls and program development in support of environmental remediation efforts including Navy Base Realignment and Closure activities. Ms. Donahue was the Operational Health Physics Manager and Radiological Control Manager at the U.S. Department of Energy (DOE) Lawrence Berkeley National Laboratory in California from 1994 to 2008 responsible for site-wide radiological protection activities. She has served as a DOE lead auditor for nuclear facility readiness reviews and provided technical support to radiological safety programs at Argonne National Laboratory and Nevada National Security Site. Prior to work with DOE national laboratories, she was a senior Health Physicist at Stanford University and served as the Radiation Safety Officer at the Palo Alto Veterans Administration Hospital from 1987 to 1991. Ms. Donahue began her career in 1982 as a nuclear engineer with Bechtel National, Inc. in San Francisco and Pacific Gas & Electric where she provided health physics support during the first outage at the Diablo Canyon Nuclear Power. is an independent, health physics consultant with over 35 y of professional experience in a wide range of radiation protection areas. His areas of expertise include external and internal radiation dosimetry, environmental dose assessment, radiation risk assessment, radiation spectroscopy, health physics training, radiation detection and measurement, and radiological site characterization. Dr. Frazier earned a BA in Physics from Berea College, an MS in Physics from the University of Tennessee in Knoxville, and a PhD in Physics (with health physics emphasis) from the University of Tennessee in Knoxville. His dissertation research was performed at Oak Ridge National Laboratory in the study of interactions of low-energy electrons with large molecules. He completed Comprehensive Certification in health physics from the American Board of Health Physics in 1981 and has been recertified through 2013. Dr. Frazier is a past-president of the American Academy of Health Physics and a fellow and past-president of the Health Physics Society. 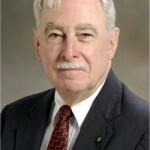 He is serving in his second term as an elected member of NCRP and has served on Scientific Committees 46 and 2-1 and on Program Area Committee 2 for the past 7 y. Dr. Frazier was awarded the 1988 Elda E. Anderson of the Health Physics Society and presented the 2007 John C. Villforth Lecture to the Conference of Radiation Control Program Directors. He has served as an advisor to numerous federal agencies on a wide range of health physics and radiation protection topics from operational health physics program design to environmental radiation dose and risk assessments. Dr. Frazier has also served as a consultant to private companies and individuals on numerous health physics issues. is radiation safety specialist with 35 y of experience in power reactor health physics. He earned a BS in Nuclear Engineering from The University of Arizona and an MS in Nuclear Engineering/Health Physics from Texas A&M University. He completed a PhD in Biomedical Sciences at the University of Texas Graduate School of Biomedical Sciences, Houston. Dr. Goldin has been a member of NCRP Program Area Committee 2 since 2004, participating in report writing for Scientific Committees 46-17, 2-4, 2-5, and 2-7. He is an active member of the Health Physics Society (HPS), served on the Board of Directors, several committees and sections, and on the American Board of Health Physics (ABHP). Dr. Goldin has been certified by the ABHP since 1984 and was awarded HPS Fellow status in 2012. Dr. Goldin's radiological engineering experience includes ALARA (as low as reasonably achievable) programs, instrumentation, radioactive waste management, emergency planning, dosimetry, decommissioning, licensing, effluents, and environmental monitoring. 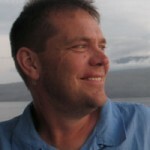 In addition, he taught graduate/upper division level courses in radiation biology, radiological assessment, and power reactor health physics at San Diego State University for over 20 y and assisted in the development and implementation of a Radiation Protection Technician training program at MiraCosta College. Dr. Goldin retired from Southern California Edison in 2012 and currently provides technical support and decommissioning planning to the San Onofre Nuclear Generating Station. is the Radiation Safety Officer at the University of California (UC), Irvine Health. Prior to joining the UC Irvine Health team, Ms. Hamrick spent nearly 20 y as a health physicist in regulatory agencies, including the U.S. Nuclear Regulatory Commission, Los Angeles County Radiation Management, and the California Department of Public Health. Ms. Hamrick currently serves on the U.S. Environmental Protection Agency’s Radiation Advisory Committee, which advises the Scientific Advisory Board on matters of radiation protection, radiation science, and radiation science applications. She served as Chair of the Organization of Agreement States (2005 to 2006), as President of the Health Physics Society (2014 to 2015), and as a committee member of the National Academies of Sciences Committee on Lessons Learned from Fukushima (2012 to 2016). 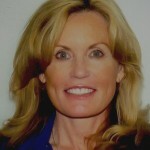 Ms. Hamrick received a BS and MS in physics from UC Irvine, in 1985 and 1987, respectively. She earned a law degree in 1999 from Loyola Law School in Los Angeles and is an active member of the California State Bar. In 2002, Ms. Hamrick was certified by the American Board of Health Physics. is currently the director of quality control, industrial safety, and radiological control at a U.S. Department of Energy (DOE) facility. 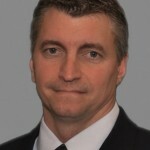 He has over 30 y of experience in applied radiation protection, radiological engineering, quality assurance, and safety at radiological facilities such as naval reactors, power reactors, and DOE facilities. Mr. Littleton is a certified health physicist from the American Board of Health Physics and a certified quality auditor from the American Society for Quality. He has a BS in physics and an MS in applied nuclear science both from the Georgia Institute of Technology. Mr. Littleton is an active amateur astronomer fostering the wonders in the night sky in the public especially the young. received a BS in physics from Ripon College and an MPH in health physics from the University of Michigan under an AEC Fellowship. He was a health physicist at the Lawrence Livermore National Laboratory from 1965 to 2000 where he held various positions including Health Physics Group Leader and Radiation Safety Division Leader. Mr. Myers is a member and Fellow of the Health Physics Society and certified by the American Board of Health Physics. He has served on the American Board of Health Physics and as a director of the American Academy of Health Physics. 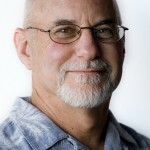 David Myers served on the Council from 1996 to 2013 and has served on NCRP Scientific Committee 46 (now Program Area Committee 2) on operational health physics since 1988. He served as chairman of PAC 2 from 2006 to 2013. He and his wife, Linda, reside in Livermore, California and have a daughter Anne and a son Steve. is a Professor in the Department of Nuclear Engineering and Associate Director of the Nuclear Power Institute. 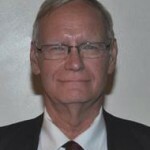 He has been at Texas A&M University since 1985 and served for 10 y as the Department Head. Prior to coming to Texas A&M, he was on the faculty at the Georgia Institute of Technology and, earlier, at the Oak Ridge National Laboratory and the Babcock & Wilcox Company in Lynchburg, Virginia. He is a Fellow of the American Nuclear Society, the Health Physics Society, the American Association for the Advancement of Science, and a Distinguished Emeritus Member of NCRP. Currently, he serves as the NCRP Vice President for Program Area Committee 3, Nuclear and Radiological Security and Safety. is Manager of Environmental Radiation Monitoring and Assessment at the Department of Health, Olympia, Washington. She received a B.S. in Physics and an M.S. in Radiological Sciences from the University of Washington. She is certified by the American Board of Health Physics. Her interests include policy and government relations and homeland security. She is a member and past chair of the Conference of Radiation Control Program Directors and received their James Miller Award. She is also a member of the Health Physics Society and has served on several committees. has been employed by Lawrence Livermore National Laboratory (LLNL) for more than 35 y and is currently the Radiation Safety Program Technical Leader in the Environment, Safety, and Health Directorate. She is responsible for developing a comprehensive, compliant and effective radiation safety program for LLNL, which serves as a national resource of scientific, technical and engineering capability with a special focus on national security. Over the years, LLNL’s mission has been broadened to encompass strategic defense, energy, the environment, biomedicine, technology transfer, education, counter-terrorism, and emergency response. Support of these operations requires the use of a wide range of radiation-generating devices (e.g., x-ray machines, accelerators, electron-beam welders) and radioactive material. The types of radioactive materials range from tritium to transuranics and the quantities range from nanocuries to kilocuries. In addition to her work at LLNL, Ms. Shingleton has been involved with both the Health Physics Society (HPS) and the American Academy of Health Physics (AAHP) over many years, including serving recently as the AAHP President and currently as the HPS Treasurer. Other positions included HPS Director (2005 to 2008); AAHP Secretary (2002 to 2004); American Board of Health Physics (ABHP) Part II (1997 to 2001) and Part I (1992 to 1996) exam panels; HPS Venues Committee chair (1995 to 1999); and numerous positions in the Northern California Chapter of the HPS. 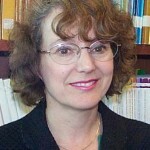 In 2007, she was selected as a Fellow of the Health Physics Society. 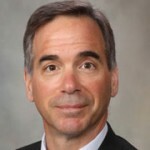 Dr. Sturchio is the Radiation Safety Officer for the Mayo Clinic facilities in Jacksonville, Florida and Rochester, Minnesota supporting the use of radiation sources in the clinical, research and education areas. In addition, he is an Assistant Professor of Physiology in the Mayo College of Medicine; his teaching duties include two courses in the Graduate School and a course in the School of Health Sciences. Dr. Sturchio is the Section Manager, Medical and Operational Health Physics on the ANSI N13 committee that develops American National Standards Institute / Health Physics Society standards. Dr. Sturchio received his PhD from the School of Public Health at the University of Minnesota and is certified in the comprehensive practice of health physics by the American Board of Health Physics. has a BS in Nuclear Engineering from the University of Illinois and a Masters in Health Physics from Texas A&M University. He worked at Purdue University as a Health Physicist and transitioned to Engelhardt and Associates, specializing in industrial radiation safety since 1998. He is a certified Health Physicist and has been a member of NCRP PAC 2 since 2008.
is a Consulting Engineer for the Technical Services group of AECOM in Aiken, South Carolina. He has over 30 y of experience in a broad range of staff and management assignments supporting the safe use of radiation and radioactive material. 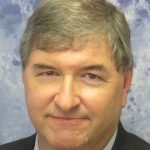 He has provided health physics and radiological engineering support to projects around the world, and has worked on projects for the U.S. Department of Energy, U.S. Nuclear Regulatory Commission, and the Federal Emergency Management Agency, among others. 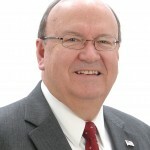 He also served on the radiological engineering staff at the Trojan Nuclear Plant for 10 y.
Mr. Willison is a Registered Professional Engineer (Oregon, Tennessee) and is certified in comprehensive practice by the American Board of Health Physics (ABHP), and served on the ABHP both as a member and Chair from 2002 to 2006. He has served a total of 12 y on both the Part 1 and Part 2 Panel of Examiners for the ABHP and was the Part 2 Panel Chair in 1999. Mr. Willison was awarded the William McAdams Outstanding Service Award by ABHP in 2008 and the National Service Award by the American Academy of Health Physics (AAHP) in 2015. He is a Fellow of the Health Physics Society (HPS) and is the current chair of the HPS History Committee. Mr. Willison earned both a BS and MS in Nuclear Engineering from Oregon State University, receiving one of the inaugural fellowships from the Institute of Nuclear Power Operations. received a BS in Physics from Carnegie Mellon University and an MSc from the University of Pittsburgh. He is a Certified Health Physicist and a diplomate of the American Board of Radiology. 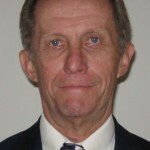 He is now a consultant, having served most of his 40 y of professional practice with the Commonwealth of Pennsylvania, where he was Regional Manager of Radiation Protection, managing and running the program that included inspection and enforcement over facilities with radiation-generating machines and radioactive materials. His position also involved emergency planning and response, indoor radon, environmental monitoring, accident and incident investigation, and response to orphan radioactive materials and sources. He is a Fellow of the Health Physics Society (HPS), and has served on various HPS committees, as well as having held various offices of the Western Pennsylvania Chapter, HPS. served in the U.S. Navy from 1989 until 1994 as a nuclear propulsion plant operator, during which time he received the Southwest Asia Service Medal while stationed onboard the USS Abraham Lincoln. He received a BS in Biology and Chemistry in 1998 from Stephen F. Austin State University. Upon graduation, he became a health physicist working as a radioactive materials inspector for the Texas Department of Health, Bureau of Radiation Control. His primary focus during this time was on the routine inspections of industrial licensees, as well as investigations into radiation overexposures and other events resulting from the use of industrial sources of radiation. In 2001, he became a health physics inspector with the U.S. Nuclear Regulatory Commission (NRC), where he was promoted to Senior Health Physicist. During his time at NRC, Mr. Thompson participated in numerous investigations into radiation exposure events and radioactive contamination events, most notably the plutonium contamination event at the National Institute of Standards and Technology in Boulder, Colorado in 2008. Another incident investigation that he performed was at a coal burning power plant in Wheatland, Wyoming, whereby 17 employees were inadvertently exposed to radiation from the misuse of fixed nuclear gauges. Mr. Thompson has served as an instructor for the NRC’s Inspection Procedures course, teaching the principles of industrial uses of nuclear material and associated inspection techniques. Also, he was a finalist for the Leadership Excellence Award at the Dallas-Fort Worth Federal Executive Board awards banquet in June 2012. This entry was posted on June 3, 2015 by Cindy.